Catheter ablation techniques are constantly evolving. Initial catheter ablations attempted to recreate the lesion set used in the open-chest Cox maze procedure by creating linear ablation lines that interrupted the atrial fibrillation wavelets. However, doctors had difficulty duplicating the Cox maze lesion set during a closed-chest catheter ablation. The procedure had high complication rates and required long fluoroscopy times. Research in Bordeaux, France, by Michel Haïssaguerre, MD, and colleagues, suggested that electrophysiologists didn't need to duplicate the Cox maze lesion set. Dr. Haïssaguerre's group found that over 90% of atrial fibrillation is triggered (starts) in or near the pulmonary veins. As a result of these findings, a new type of catheter ablation technique, called Segmental Pulmonary Vein Isolation or Ostial Pulmonary Vein Isolation, was created. Dr. Haïssaguerre and his colleagues used radiofrequency energy to ablate the pulmonary vein ostium, the opening to the pulmonary veins. When "isolated", pulmonary veins can no longer be a trigger point for atrial fibrillation. Dr. Haïssaguerre and his colleagues were able to terminate atrial fibrillation in, and stop prescribing antiarrhythmic drugs for, 62% (28) of patients in the study1. This pulmonary vein isolation approach continues to be the cornerstone of catheter ablation strategies for the treatment of paroxysmal atrial fibrillation. However, pulmonary vein isolation can mean different things to different doctors. Indeed, it has become a catch-all term to describe any ablation of the pulmonary veins. 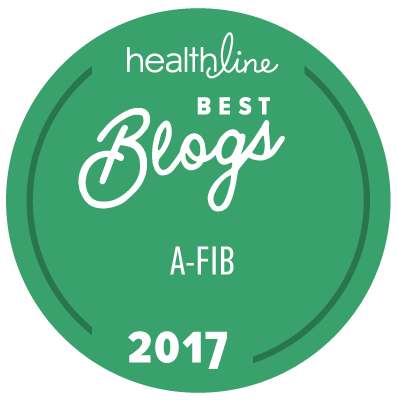 This can lead to misunderstandings between doctors and patients, and can make a big difference in the rate of freedom from afib after ablation. Perhaps the most important difference among doctors relates to whether the pulmonary veins are isolated, or just ablated. In order for a procedure to be called a pulmonary vein isolation, the doctor must confirm that the pulmonary veins are "blocked" in other words, that conduction block was achieved. This is done with a mapping catheter that can determine whether there is any electrical activity around the pulmonary veins. If conduction block isn't confirmed, then the procedure is an ablation, not an isolation. Thus it is important to ask doctors what type of lesion set will be made and whether they will confirm that conduction is blocked. There have been several updates to the segmental (ostial) pulmonary vein isolation developed by Dr. Haïssaguerre and his colleagues. First, it was found that ablating tissue in the ostia (opening) of the pulmonary veins could lead to pulmonary vein stenosis (narrowing), which is a serious complication that can obstruct oxygenated blood from flowing from the lungs into the heart. Second, it has been found that more extensive lesion sets are better at stopping afib. This is probably because the pulmonary veins aren't the only area in the heart that can trigger atrial fibrillation. Over time, afib can create new pathways, called macro re-entry sites, where it can "cycle" in the heart. Macro re-entry sites are different for each patient. Ablation strategies and techniques continue to evolve, as does the terminology, as doctors learn more about areas of the heart that could act as a trigger or re-entry site. Thus, the term "segmental pulmonary vein isolation" is rarely used today, and instead we refer to the anatomic area that will be ablated or to the technical approach to ablation. Antrum Pulmonary Vein Ablation — Because of the issues with the ostia, as mentioned above, the antrum (base) of the pulmonary veins became the site of catheter ablations. The antrum includes the posterior (back) wall of the left atrium and extends to the anterior (front) of the right pulmonary veins. In essence, it is a wide perimeter around the pulmonary veins. Antrum pulmonary vein ablation entails lesion lines in this area, but doctors do not confirm conduction block. Pulmonary Vein Antrum Isolation (PVAI or PVI) — Lesion lines are made in the antrum of the pulmonary veins, and doctors confirm that conduction block has been achieved. Some electrophysiologists also make additional lesion lines. These may include the superior vena cava, roof of the atrium, or the septum, the wall that separates the two sides of the heart. You can see these structures in this diagram of the heart. However, the location of the additional lesions varies by doctor. That is, there isn't a standard that requires that all pulmonary vein antrum isolations include a lesion line along the superior vena cava, for example. Circumferential Ablation — Similar to pulmonary vein antrum isolation, circumferential ablation entails lesions encircling the pulmonary veins. Some electrophysiologists also make an ablation line that connects the pulmonary veins on the posterior (back) wall of the left atrium or ablate tissue from the pulmonary veins to the mitral valve. In addition, a mapping catheter is used to identify "potentials", which are areas that could serve as a trigger or macro re-entry site for atrial fibrillation. According to the HRS Consensus Statement, there isn't a single endpoint, or goal, for circumferential ablation.2 Some doctors confirm that conduction block has been achieved, whereas others look for elimination of "potentials" or a reduction in electrical activity in the ablated area. Atrial fibrillation leads to atrial remodeling over time, meaning that afib can change the deeper layers of heart tissue (substrate) or change the way electricity is conducted within the heart. This is also known as substrate modification. Advanced catheter ablation techniques, which are primarily used to treat persistent and longstanding persistent afib, target anomalies in the substrate or electrical conduction. However, clinical data is inconclusive, meaning that it is not clear whether these techniques can stop persistent or longstanding persistent afib for the majority of patients. Stepwise Ablation — Stepwise ablation is the only ablation strategy with a stated goal of terminating afib. It involves isolation of the pulmonary veins and entails additional lesion lines, which differ by electrophysiologist. It is sometimes called sequential ablation because the additional ablation lines are performed in a specified order. That is, doctors may make a lesion line along the roof of the left atrium, and then pace or use a mapping catheter to determine whether conduction has been stopped. If there continues to be afib activity, the doctor will ablate the next area in the sequence. The lesion lines and sequences vary by doctor. Most electrophysiologists make a lesion on the roof of the left atrium after isolating the pulmonary veins. After this, some doctors will ablate the coronary sinus, the vessel between the left atrium and the left ventricle, whereas others might ablate the mitral isthmus, the area where the mitral valve and the left inferior pulmonary vein meet. There isn't one specific sequence that has proven to have the best results, largely because clinical trials haven't been performed on this. Complex Fractionated Atrial Electrograms — Ablation of complex fractionated atrial electrograms (CFAE, pronounced cafe) is performed by some electrophysiologists to treat persistent and longstanding persistent afib. A complex fractionated atrial electrogram is a site where there is an unusual electrical pattern, which could be due to the length of the electrical wave (long or short), the frequency of electrical activity (a lot or a little), or the speed of conduction (fast or slow). Complex fractionated atrial electrograms appear to represent macro re-entry sites for atrial fibrillation, so ablation of these sites should stop afib, but that hasn't been proven by clinical data. In fact, CFAE ablation has been shown to be less effective in stopping afib than a pulmonary vein antral isolation with additional lesion lines at the roof of the left atrium and along the mitral isthmus.3 To learn more, see Can Catheter Ablation Successfully Treat Persistent Atrial Fibrillation, which discusses a session at the Heart Rhythm Society about ablating persistent afib. Ganglionated Plexi Ablation — Another advanced strategy for stopping afib is to ablate the ganglionated plexi (GPs), which are "fat pads" in the heart. Nerves that control automatic functions, such as breathing, are located in these ganglionated plexi. These nerves also initiate electrical activity at various places in the heart. It is thought that when one ganglionated plexus is activated, another ganglionated plexus located nearby will also be activated. Some doctors use mapping catheters with high frequency electrodes to identify ganglionated plexi, while others simply ablate the four primary ganglionated plexi in the left atrium. Ablation of the ganglionated plexi has not been widely adopted by electrophysiologists, which may be because there is little research data available. Hybrid ablation — Hybrid ablation is an emerging treatment for patients with more severe forms of atrial fibrillation, typically persistent and longstanding persistent afib. Hybrid ablation is a dual approach in which an electrophysiologist ablates from inside the heart and a cardiac surgeon ablates on the outside of the heart. A hybrid ablation may enhance the prospects that ablation lines fully penetrate all layers of the cardiac tissue, which is crucial to stopping afib. In addition, higher success rates and fewer complications could be possible because each specialty (electrophysiology and cardiac surgery) can ablate areas of the heart that are best suited to their different approaches. See Hybrid Procedure May Offer Better Outcomes for Persistent and Longstanding Persistent Atrial Fibrillation for Dr. James Edgerton's presentation on hybrid ablations at Boston Atrial Fibrillation Symposium in January 2011. Another dual approach, the convergent procedure, also has surgeons and electrophysiologists collaborate on ablation. The convergent procedure is different from hybrid procedures in that it uses a different entry point and a different device, in this case a unipolar radiofrequency device instead of a bipolar radiofrequency one. To learn more about the technology used in catheter ablations, see Catheter Ablation Technology. 1 Haïssaguerre, Michel, MD, et al, "Spontaneous Initiation of Atrial Fibrillation by Ectopic Beats Originating in the Pulmonary Veins," http://www.nejm.org/doi/pdf/10.1056/NEJM199809033391003, New England Journal of Medicine, 1998. 2 Hugh Calkins, MD, et al, "HRS/EHRA/ECAS Expert Consensus Statement on Catheter and Surgical Ablation of Atrial Fibrillation: Recommendations for Personnel, Policy, Procedures and Follow-Up," http://www.hrsonline.org/News/Media/press-releases/upload/HR-and-Euro-Copy-for-Print.pdf, Heart Rhythm, 2008. 3 Brooks, AG, et al, "Outcomes of long-standing persistent atrial fibrillation: A systematic review," http://download.journals.elsevierhealth.com/pdfs/journals/1547-5271/PIIS1547527110000391.pdf, Heart Rhythm Journal, 2010; 7:835-846.